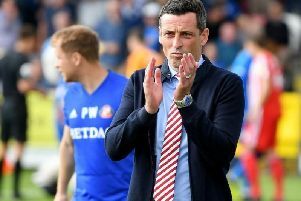 Sunderland manager Jack Ross is planning a mid-season friendly in a bid to keep fringe players fresh for the League One run-in. Ross recently organised a game against a Carlisle United XI to ensure that the likes of Dylan McGeouch and Alim Ozturk stay match fit. He will do the same during the current break, while ensuring his recent regulars get the necessary rest. Read the full story with the Sunderland Echo HERE.